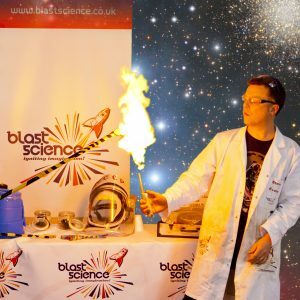 Strap yourselves in and let’s explore space together – Join Steve from Blast Science and voyage round the planets, to the stars and beyond. We’ll find out what’s out there, how we know what’s out there and about the people who made those discoveries. With a rocket full of interactive demos, the show can be enjoyed by children and adults alike – there are loads of opportunities to come and help Steve… (he definitely can’t get into space without your help). So get ready to launch yourself to the Rialto Theatre on October 22nd for an hour-long journey into the great beyond.